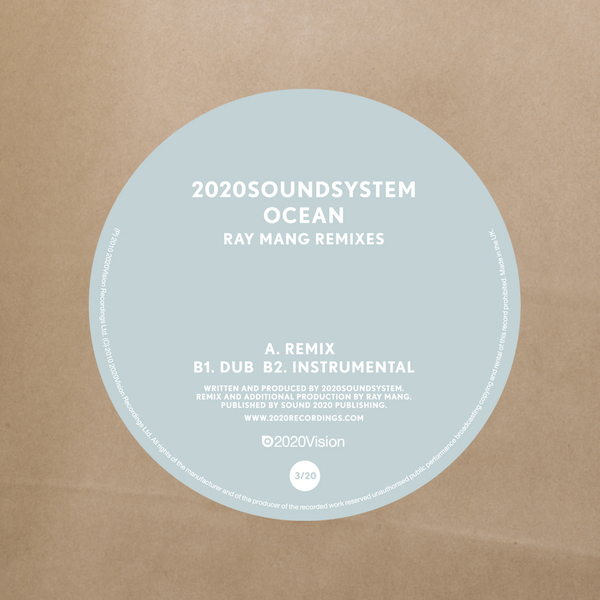 2020Soundsystem are a live electronics quartet splitting its membership between the UK and Argentina, and for this latest single the group have their single 'Ocean' remixed by Ray Mang, who offers three variations. Shifting into a blissfully funked-up mode, the main remix retains the vocals, both the lead and a line in falsetto background vocals that somehow bring to mind Oasis' 'Cast No Shadow'. Is this just me? In any case, you'll also find 'Dub' and 'Instrumental' renditions thrown into the bargain, plus for this digital edition PBR Streetgang and Jacksonville remixes.